The Dublin Racing Festival took centre stage at the weekend with two days of thrilling sport over in Ireland with some of the best horses in the business taking their chance to pick up big race glory. Punters are frantically looking for the important Cheltenham Festival tips with the Prestbury Park spectacular a matter of weeks away now and there were plenty of clues to be garnered at Leopardstown. The star of the show in Ireland was Apple's Jade with the Gordon Elliott trained mare scorching to victory in the Irish Champion Hurdle in stunning circumstances. Owners Gigginstown have thankfully given the green light for the horse to take her chance in the Champion Hurdle and she is now seen as the major threat to Buveur D'air in the big race next month. Apple's Jade is now as short as 9/4, from 14/1, for the Champion Hurdle with one firm which is a massive market adjustment. Elsewhere at Leoaprdstown on Saturday, Le Richebourg picked up the Irish Arkle in good style to throw himself in the frame for the equivalent race in the UK at Cheltenham. The Joseph O'Brien trained chaser has now won four of his six starts over fences and sets a solid standard in terms of the Arkle next month, for which is now a 7/2 (from 6/1) shot. Min picked up the Dublin Chase with the minimum of fuss and looks the main threat to Altior in the Champion Chase betting at 8/1, and Envoi Allen saw his Champion Bumper price trimmed from 6/1 into 7/2 as a result of his latest taking success in the flat race. The action continued to come thick and fast at Leopardstown on Sunday, although the card was decimated thanks to the dry ground proving too quick for plenty of horses to be risked. The Spring Juvenile Hurdle often tends to be the key race in terms of the Triumph and we saw a thrilling performance from Sir Erec. The son of Camelot pulled clear of some good horses to impress the bookies with his Triumph Hurdle price now as as short as 9/4, from 7/1, as a result of this latest success. Sadly, there were only four runners in the Irish Gold Cup after a number of the key contenders missed the race due to the ground but it still produced a thrilling finale between Bellshill and Road To Respect. The two rivals went eyeball to eyeball on the run-in with Ruby Walsh managing to get Bellshill home under a power packed ride, and both horses will now go on to Cheltenham with each-way claims in the blue-riband contest.. The Willie Mullins trained horse is now a 10/1 punt for the Cheltenham Gold Cup having been a 20/1 contender before his win on Sunday. It wasn't all about Ireland this weekend with Sandown also producing some excellent winners in the UK on Saturday. Buveur D'air bounced back to winning ways with a facile success in the Contenders Hurdle which gave punters no new clues about how he will fair against Apple's Jade in the defence of his Champion Hurdle crown. The Nicky Henderson trained star has been pushed out to 2/1, from 13/8, for a third win on the first day of the Festival as a result of the weekend's performances. It was Defi Du Seuil who perhaps produced the highlight of the the day at the Esher venue with the Philip Hobbs trained horse picking up the Grade 1 Scilly Isles Novices Chase. A former winner of the Triumph Hurdle, the 6-year-old has improved with every start this season over fences and now looks a genuine threat for the JLT Novices Chase at 5/1, from 11/1, with one major bookmaker. 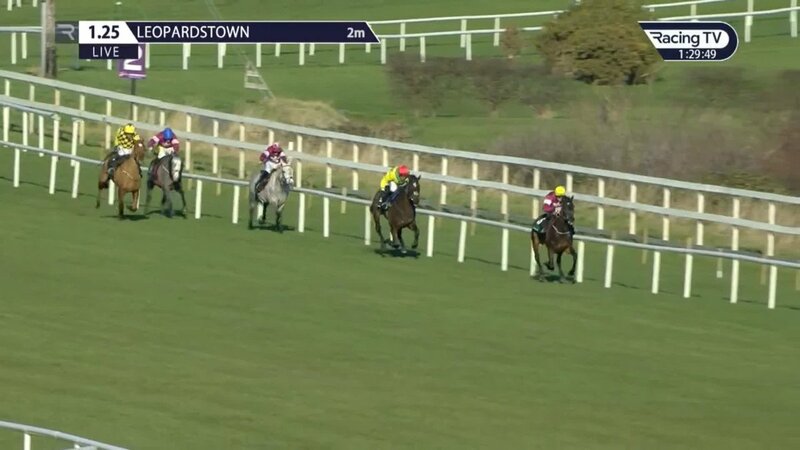 📺 What a fantastic weekend of racing at Leopardstown!